UK2ME is your gateway to a world of online shopping from UK and USA, with everything delivered to you right here in Nigeria. 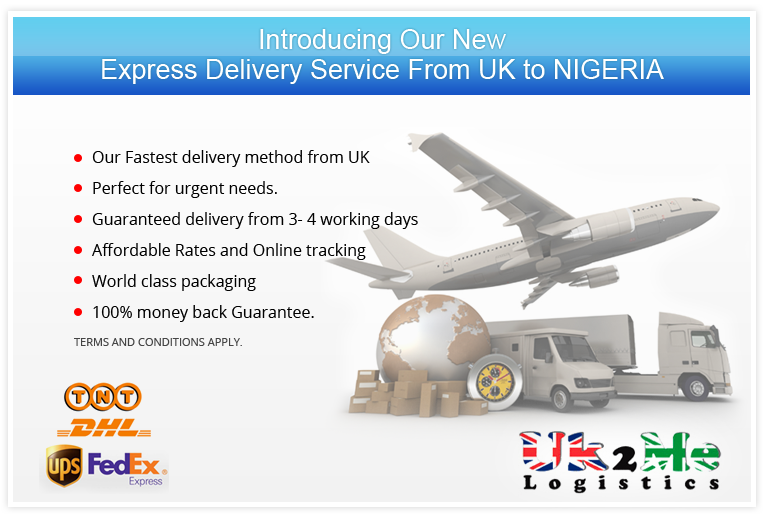 With UK2ME, you can do your online shopping in Nigeria and enjoy the very best that the top online stores in the UK and US have to offer – delivered to you in any location in Nigeria. Major brands available via our online stores include leading UK high-street shops such as Marks and Spencer, Next, Matalan, Harrods, House of Fraser, Burberry, Selfrigdes, Gucci, and many more, plus major US stores including Macy’s, Sears, Saks, Neiman Marcus, Dsw, Bloomingdales, Walmart, Amazon, Ebay and many others.